Chestnuts roasting on an open fire, Jack Frost nipping at your nose, and a slightly different winter carry pistol for the colder part(s) of the year. A good number of people carry different guns in different seasons, you see, and for good reason. 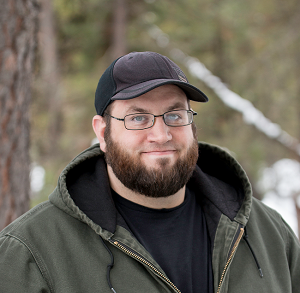 Winter leads to a greater number of layers, which can mean easier concealment for a larger pistol. This is the time of year many switch to a full-size pistol and possibly even entirely to OWB carry. Here are 7 fantastic winter carry pistols that carry and conceal well during winter. Just make sure to get a strong gun belt to carry with. 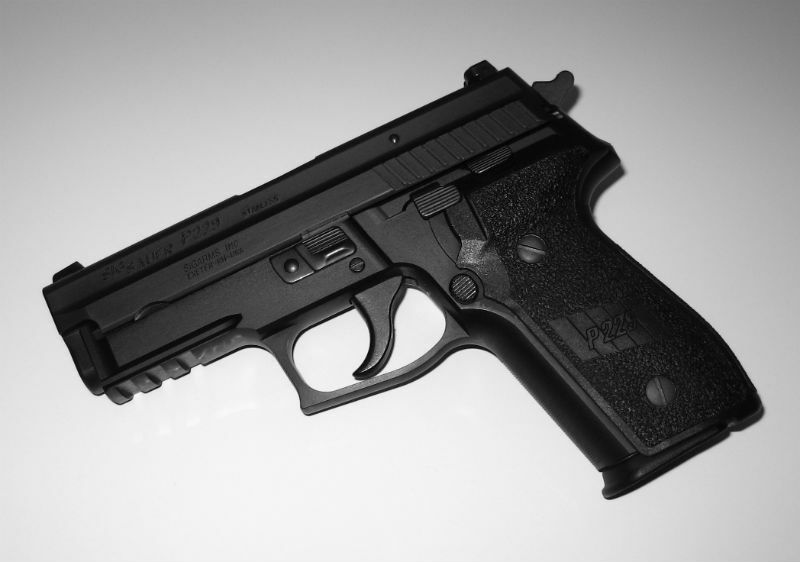 Why the Sig Sauer P229, you ask, instead of the P226? Simple. The P229 is basically the same gun, just with a marginally shorter barrel (the P229 has a 3.9-inch barrel, the P226 has a 4.4-inch barrel) but the same width (1.5 inches) and near as makes no difference the same height. Does this mean the otherwise appreciably large P226 is tamed for easy concealment? Hardly. The P229 is a service pistol, no doubt about it (and that is Sig Sauer's specialty) but the marginal reduction in length makes it slightly easier to conceal on the waistband. It isn't so small that it becomes an easy gun to conceal, but it's enough of a difference to matter. With that, you get Sig-Sauer reliability, shootability and their double/single-action trigger system, which is one of the better DA/SA mechanisms on the market. Some would argue the best. But wait - there's more! The P229 is ridiculously expensive because Sig. Don't want to deal with that or buy used? There IS a solution...you buy the Sig SP2022 instead. The SP2022 is basically the same gun, except the slide gets slightly less attention at the factory, the slide release is enormous and the frame is polymer instead of steel. It is slightly taller, by 0.3 inches, but it's also 4 ounces lighter. It also costs just under $500, compared to just under $1,100 for the base model P229. The Glock 19 is the closest thing to a Goldilocks pistol in most people's estimation, as it's big enough to shoot like and literally be used as a service pistol, but compact and light enough for just about anyone to carry. 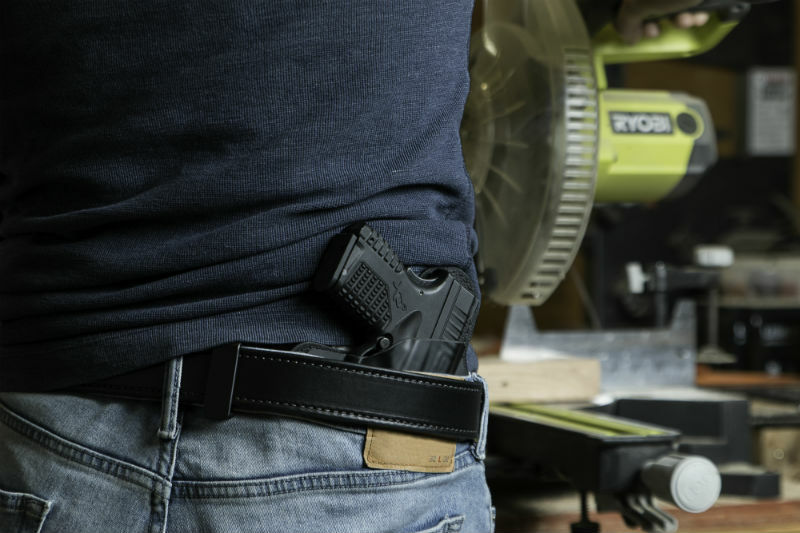 However, the 19 is on the big side for a concealed carry pistol, as it can only be used as a belt gun and a lot of people look for a pistol that can carry in a belt holster as well as a pocket if needs be. For the person who wants to carry a bigger compact pistol when appropriate, the 19 (and variants in other calibers - such as the 23 in .40, 38 in .45 GAP and 32 in .357 Sig) is about as good as it gets. Price of admission is low ($600ish or less) and the aftermarket support is astounding. There's definitely a good number of folks out there who like a concealed carry revolver, and winter carry allows one to size up from a snubbie to a larger compact .357 Magnum, and one of the best is the S&W Combat Magnum. Plenty of compact magnums conceal easily with a high-ride OWB holster, so the same idea for autos can apply for revolvers. The original Combat Magnum was the brainchild of Bill Jordan, the legendary exhibition shooter, US Marine and Border Patrol officer. Jordan got Smith and Wesson to make a fighting revolver for law enforcement based on his ideas for one. The pistol was based on S&W's K-frame rather than the N-frame (think "Dirty Harry") .357 platform and was significantly lightened due to the alloys used to make the frame. 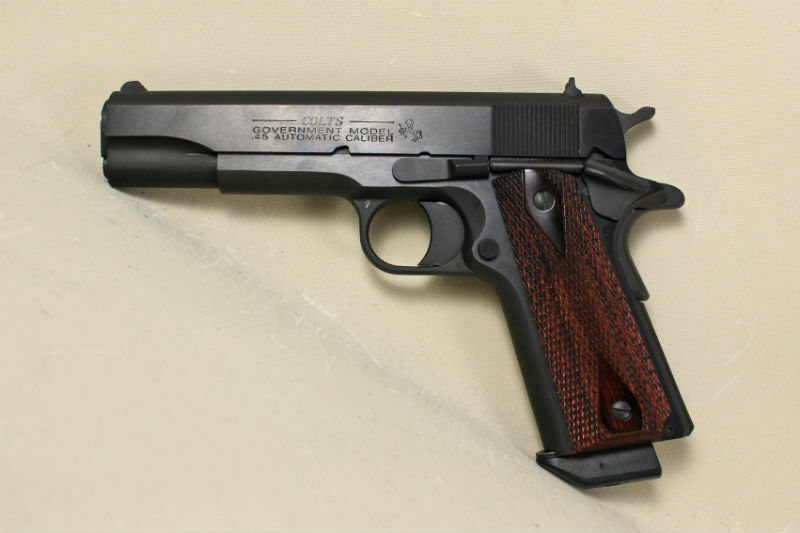 The result was the now-discontinued Model 19, though it was modified to create the Model 66 - the current Combat Magnum. Today's version is stainless steel with rubberized grips and a high-visibility front sight. Capacity is six shots with a 2.75-inch barrel, though a 4.25-inch barrel is available too. 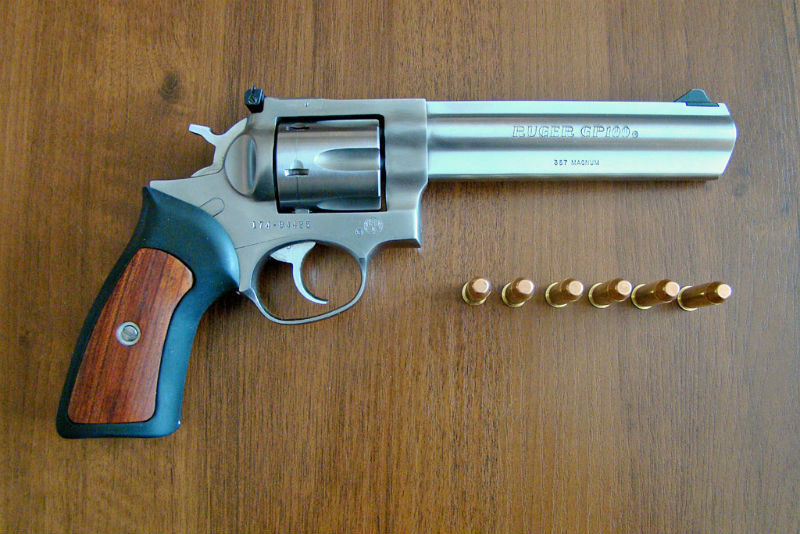 If you want a compact .357 Magnum that's bigger than a snubbie, it's tough to do any better. Oh, you thought we were going to leave out the 1911 crowd? Not a chance! The truth is that a LOT of concealed carriers out there forego carrying their beloved bastion of Browning's beautiful bounty of brilliance due to it being a lot of handgun to tote for most of the year. However, once winter rolls around...onto the waist it goes. There are also a number of people who believe winter carry should involve a larger round, as the greater layering of clothes - even bad guys bundle up - should be countered with a larger, deeper penetrating choice of defensive ammo. A lot of people reckon .45 ACP does so superbly. Granted, a GI 1911 is a lot of gun to tote (8 inches in length, roughly 3 pounds of steel sitting on the hip) and a lot of Commander 1911 pistols (4.25 inches being a common barrel length) aren't a whole lot smaller, but the slim width (single-stack, after all) hugs tightly to the body for easier concealment than fat European double-stack pistols. After all, hard to improve on perfection. The CZ-75 is widely hailed as one of the best DA/SA pistols available, and there are a number of compact versions including the CZ-75 Compact, Compact PCR, and the P-01 - which is a compact version of the CZ SP-01, which is a CZ-75 with a rail. The word "compact" is somewhat misleading, as they are still service-class pistols and in fact are issued to a lot of police departments as duty weapons. Though a good number of people do carry them as concealed pistols, some feel they - like the aforementioned Glock 19 - are just too big to effectively conceal all the time. Winter layering makes them far easier to conceal. CZ pistols are widely hailed as being excellent value for money and for being some of the easiest-shooting pistols one can get. (Due to the all-steel frame, tight lock-up and low bore axis design.) The compacts in their product lineup are as well. They're also pretty cost-effective as well; most CZ pistols go for $600 or less, but those on a budget can look into CZ clones for a great carry gun at a nicer price. Italy's Tanfoglio Witness pistols are CZ-derivatives and can be had for very reasonable amounts, as can Turkish CZ clones from makers like Sarsilmaz (like Tanfoglio, they're imported by EAA) and the Canik pistols imported by Tri-Star. 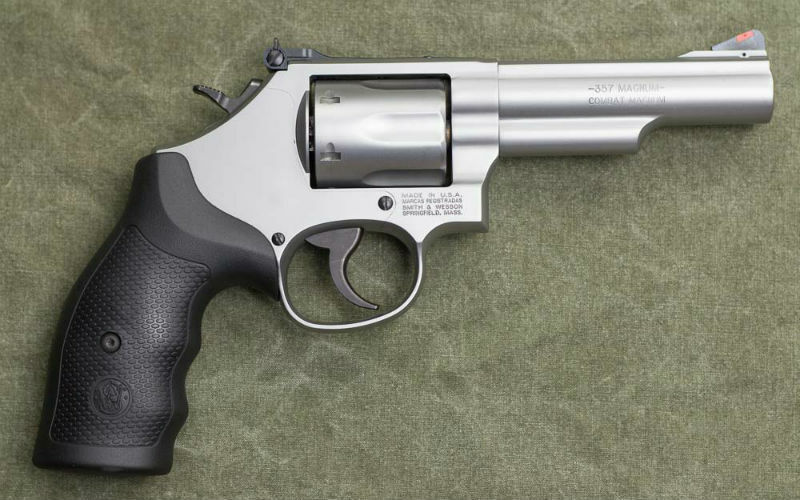 Everything that's good about the S&W Model 66 Combat Magnum is good about the Ruger GP100, or at least the short-barreled models. The GP100 is a service-size revolver (roughly equivalent to S&W's L-frame) though the short-barreled models are easier to conceal due to the shorter length. The GP100 was engineered to be a .357 Magnum, rather than a .38 Special, and it was designed with service use in mind. It is a good amount of gun to tote around, but the variant with a 3-inch barrel can be concealed pretty well under layers. Smith and Wesson's M&P compacts are about the most reasonably-sized double-stack compacts out there, as the M&P9C and M&P40C are both easily carried and concealed 'year round. 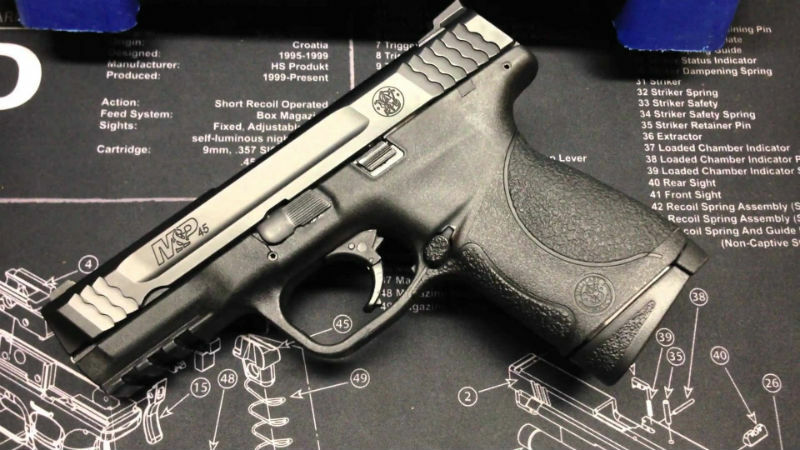 The M&P45C, though, is large enough to fit in the space between a true compact and a compact service pistol, as barrel length is 4 inches, only 0.5 inches shorter than the full-size model, though it is 0.7 inches shorter at 4.8 inches tall. For a compact, that's pretty big. As a result, not everyone would be disposed to carrying it 'year round. (Some would though!) As a winter carry gun, it's a fantastic choice as the 45C is compact enough to conceal with some additional layers, but also packs 8+1 of a larger cartridge than the typical 9mm or .40 S&W most people carry during most of the year.